Sunshine cocktail. Photo courtesy Avión. Everyone has a favorite holiday: Christmas, Halloween, Easter or Thanksgiving, perhaps. Ours is Daylight Savings Time. We are not a night person: We love the light, from dawn to sunset. We are not happy waking up to a black sky and getting dressed in suboptimal incandescent lighting, unable to tell if tights are navy or black. Avión Tequila has sent us a Daylight Savings Day cocktail, and by Jorge, we are going to celebrate! Maybe not at 2 a.m. on Sunday morning, when Daylight Savings Time kicks in. And probably not at midnight tonight, as we turn all the clocks forward one hour, prior to hitting the sheets. But at happy hour tomorrow, March 13th, we’ve having at least one. After two, we probably won’t notice that we gave up an hour of sleep. This tequila cocktail uses the smoother, aged añejo tequila rather than the silver (plata or blanco) tequila used in so many tequila drinks (see the different types of tequila). Añejo is aged for one or more years, taking on more complex flavors and a yellow color from the oak barrels. 1. Add all ingredients to a cocktail shaker with ice. Shake and strain. 2. 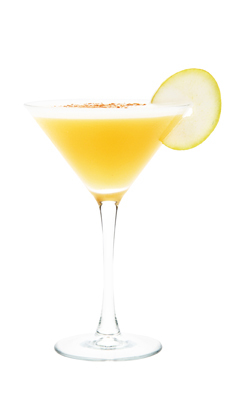 Avión Sunshine can be served either straight up or on the rocks and garnished with a thinly sliced pear.